Lights can give a dramatic effect on the large-sized room, even more on the small room. 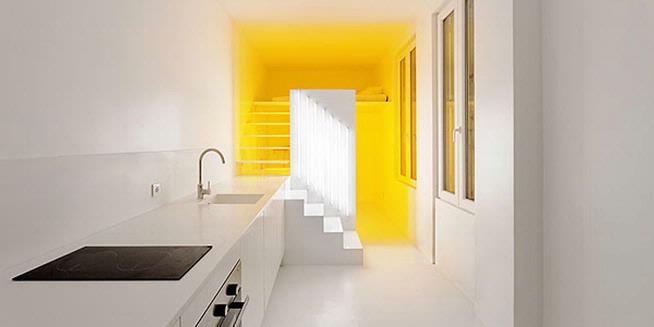 One proof from the light influence is on the project “Spectral Apartment” in Levallois, Paris, France. Project “Spectral Apartment” is a renovation project undertaken by the architectural firm from Paris, Betillon / Dorval-Bory. The project involves an area of ​​20 square meters apartment with little access to sunlight. For this reason, the client asked the company Betillon address issues related to the lack of light. Betillon solve that problem by giving more attention to the color rendering index (CRI). The color index is an international system used to assess the ability of light to show color. The higher the CRI (0-100 scale) the richer colors that may arise. In other words, the higher the CRI light, then it is able to show the actual color suit. 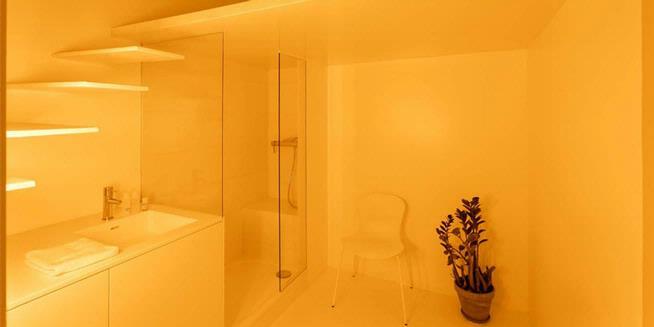 The bedroom and bathroom are enough spaces simply by using monochromatic illumination. Meanwhile, a lamp with a low level of CRI was able to “remove color”. Lights with low levels of CRI is generally a yellowish street lights. The fluorescent lamps classified with high CRI lamp . 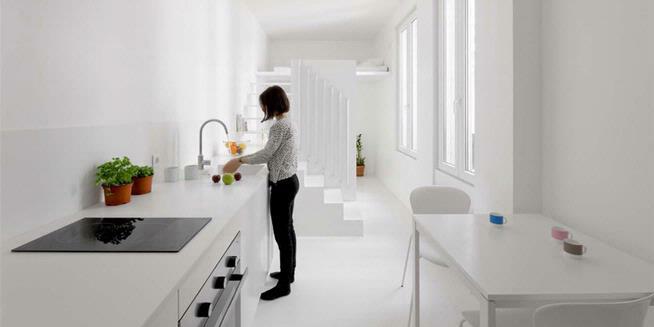 On this basis, the architect Philippe Rahm had the idea to explore the spectral quality. He uses two light sources, the high and the low level of CRI. Each light source produces 16,000 lumens. 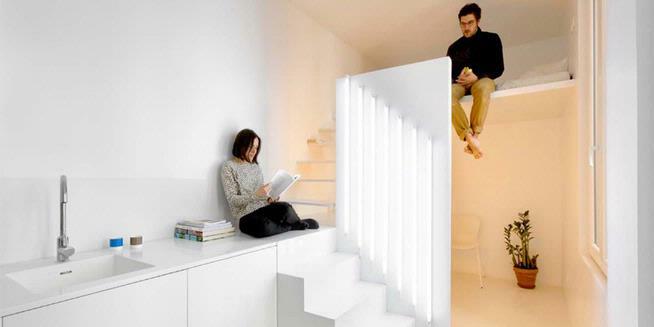 The use of both types of these lights help to shape space, without dictating its owner. One type of lights that he uses is a low-pressure sodium (LPS). The orange lights have very low levels of CRI. Lights used as street lamps are indeed difficult for the police to patrol because it is almost impossible to identify the true color of the car. In addition, these lights also use fluorescent lights to other parts of the apartment. In this project, the first step is to divide the apartment light as needed. Spaces such as the kitchen and family room spaces expressed as requiring the introduction of color. While the bedrooms and bathrooms are the spaces that quite simply by using monochromatic illumination. High and low CRI also be an important element in the space composition . On the one hand, the lamps with CRI to 90 CRI level (940 fluorescent tube) with a neutral temperature (4000K) is in this apartment, while LPS lamps with CRI reaches zero level are also available. Spaces such as the kitchen and family room spaces expressed as requiring the introduction of color. While the bedrooms and bathrooms are the spaces that quite simply by using monochromatic illumination. Circulation and track the movement of residents deliberately open. The owner just “escorted” to follow the logic of the composition of these lights. Both types of lights have different igniter button. Thus, the owner can choose which lights they will use.